- Obtained his BDS in Dentistry from the University of Cairo in 1969. Afterwards, he received his Master’s degree (MMedSci in Orthodontics) from the University of Sheffield in 1980. -Joined the Royal Medical Services of the Jordanian Armed Forces in 1970. -Former Head of the Orthodontic department at King Hussein Medical City. -Former Consultant Orthodontist & lecturer at the Jordanian Armed Forces & University of Jordan Dental Faculty respectively. - He has published in a number of worldwide orthodontic journals, including the British Dental Journal & the Jordanian Dental Association Journal. 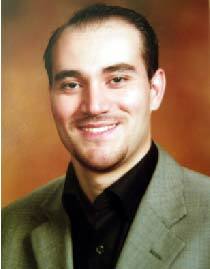 Dr Shadi S. Samawi BDS, MMedSci (Orth.) MOrthRCSED. - Obtained his BDS from the University of Jordan in Amman in 1999. - Following a one-year residency in the Royal Medical Services of the Jordanian Armed Forces and two years in private practice, left to Sheffield-UK to obtain his Master’s degree in Clinical Orthodontics (MMedSci) from the University of Sheffield in 2003. - The following year (2004) he obtained the Membership in Orthodontics from the Royal College of Surgeons of Edinburgh (MOrthRCSED.) in the United Kingdom.